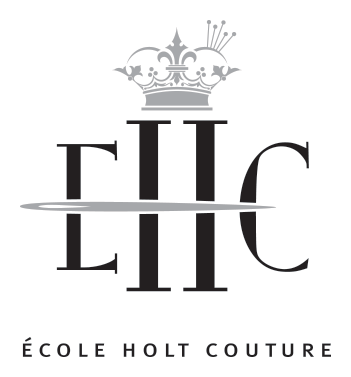 To make an application, contact École Holt Couture by phone or by email requesting a Prospectus. École Holt Couture School of Couture Sewing and Design concept is truly unique therefore; we have designed a PowerPoint presentation for your information to help you decide if EHC is the right fit for you. Everyone interested in enrolling in École Holt Couture is requested to attend this prearranged presentation to answer questions, further explain EHC’s mission and goals, instructional methods, and to help each potential applicant make an informed decision about enrolment. Download PDF application form, which is printable. If you live outside the Calgary area, these presentations may be arranged by appointment with the school’s Public Relations representative when in your geographical area. Alternatively, if you reside outside the Calgary area and are unable to attend a presentation, an orientation interview can be held by telephone, arranged by contacting the Registrar. Each school yearm begins in September and ends the following June, consisting of 3 course modules which run 10 consecutive weeks with a break between each. Classes are held twice weekly at 5 hours per class, including a short lunch break. In addition to class time, 30 hours per week studio time is required to complete mandatory practical projects per module. Very important: Students must have access to a dedicated work space or studio in which to do projects and assignments. Ideally a separate room, with good natural, ambient and task lighting, self-contained and protected from through traffic and everyday disturbances. (Using a kitchen is not acceptable).This studio space could be accommodated within a student's bedroom area if no other suitable space is available. Try a search engine for: 'Student Housing Calgary Canada' for student accommodations listings. Request a Prospectus by telephone or email. After you receive a Prospectus, review all the information. Return your signed and completed application forms by the stated deadline. Only completed applications are reviewed by the school’s selection committee. Letters of acceptance, letters of regret or waiting list, are forwarded to you within 6 weeks of your application being received by EHC's registrar. 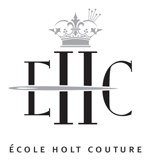 Accepted registrants are required to attend a scheduled orientation meeting at École Holt Couture. Refund and cancellation policies are provided with the Prospectus. Email info@ecoleholtcouture.com for current application deadlines. Project costs vary widely and are subject to market fluctuations. Graduates of the Diploma Program will have developed an outstanding portfolio consisting of approximately 40 full scale, and 20 half scale couture garments and accessories, valuing more than the total investment in tuition, fees and materials combined. A financing schedule for tuition fees is available for registered students. These garments are completely wearable and in effect the tangible portfolio which exhibits the skills and experience graduates have acquired at Ecole Holt Couture. To review EHC policies regarding enrolment procedures, payment and refunds, performance and grading system, programs and cancellation etc. please click here.